AZ Car Keys are the less expensive option to help out if you ever lose your Oldsmobile car keys. Replacing the lost car key is less difficult than you may think. Contact us immediately to acquire Oldsmobile car key replacement help from the pros. Most of the Oldsmobile car keys are usually three keys in one. These keys consist of a mechanical key for releasing the steering lock, a transponder chip which the car computer reads after the driver has inserted the key in the ignition cylinder and a remote control for unlocking/locking the doors and turning of the car alarm. The keys are more secure even though they’re expensive and time consuming to replace. Therefore, you should take good care of yours. The following are the main Oldsmobile Car keys. The Oldsmobile chip keys contain transponder chips embedded in the key’s plastic body. 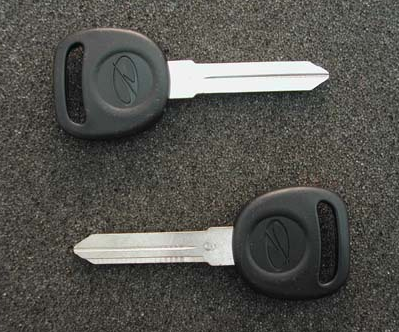 Oldsmobile introduced this type of key earlier in 1995 as a way of reducing car theft cases. The chip in the key is usually passive and therefore it doesn’t need a battery to function, that means the car computer reads the code in the chip after you have turned the key in the ignition. Without the chip, the car key won’t start the vehicle. This also happens when the chip is broken. If this is the case with your key, you will need to reprogram the vehicle’s immobilizer control unit after you have purchased a new key with another code. Some Oldsmobile car models come with a red master key that is not meant for the normal day to day use. Only the vehicle dealers should use this key when reprogramming or replacing a key for your car. But unfortunately, the chances of misplacing this key are usually very high. If such a case happens, you will need to replace the entire engine management system which can cost you over $10,000. 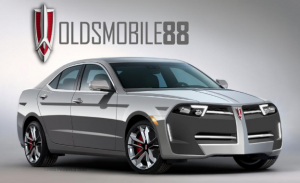 As a result Oldsmobile has not been supplying this key with the new models and instead they are holding the vehicle’s specific security information on a central database. The dealer uses this information when replacing or reprogramming a key. When buying a second hand car, you should remember to check the handbook and ensure that you received all the keys including the master key if the manufacturer supplied it with the vehicle. 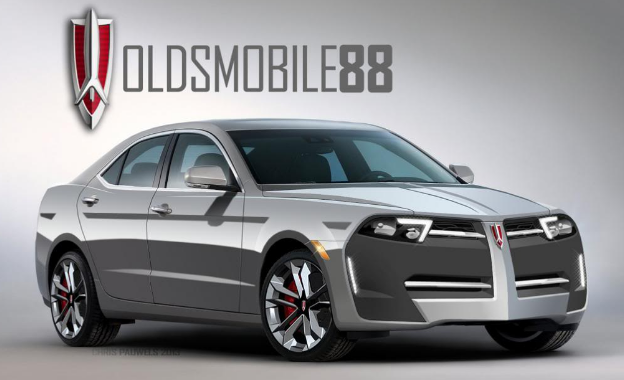 Nearly all new Oldsmobile models have a remote control for locking/unlocking the doors and turning off the alarm system. This type of unlocking system is important, but has some problems. The remote controls use a radio transmitter which sends coded signals to the receiver usually fitted in the vehicle. The operating frequency of these transmitters is usually within 418 MHz and 433.92 MHz. The frequency is therefore closer to that used by radio amateurs, by MoD communication and some other common devices. Interference can sometimes occur and in worst cases the driver will be unable to unlock the vehicle doors. The manufacturer has minimized this problem in the newer models, but the problem is still common in the older models. If the remote control fails to unlock the doors, you should ensure that the batteries aren’t flat and if you suspect that there is radio interference, you should get closer to the vehicle. For extreme cases you can rely on towing services to take away the vehicle as a result of this interference and the remote control will work. However, most cars with remote locking have bypass systems that employ the normal metal key in unlocking the doors without the need of setting vehicle alarm off. This form of key is featured in the newer models. Initially introduced in the year 1999, this key sends a new code every time the driver uses it to unlock the vehicle. The major difference between this key and the transponder key is that its codes keep changing while the transponder key has a single fixed code. The feature enhances the security of vehicle since it is virtually impossible to replace the codes. And on the contrary, replacing this form of key is more expensive and the replacement cost is above $500 but depends on the location and the urgency. Always keep in your mind that a lost key will be a huge financial burden. Therefore, ensure that you have received at least two keys after purchasing the vehicle. And if you happen to lose one, get a replacement within the shortest time possible. You can rely on a locksmith when you need an additional key for your Oldsmobile car, or when you need a replacement. You won’t be able to drive your car when a part of the ignition key is stuck or broken in the ignition lock. Car locksmiths will also offer key reprogramming services. Call AZ Car Keys Today For Replacement Oldsmobile Car Keys! Was going to sell my Oldsmobile Alero that has just been sitting for about a year, then realized I didn't have the key for it anymore! AZ Car Keys were able to come over the day I called and replace my car key for me in minutes! These guys are great and I highly recommend them!